So, are AWS EC2's fancy new m5 instances worth it? In a word: yes. See the performance impact and cost savings you can expect. AWS announces new generations of EC2 instances from time to time. Typically, each generation offers better performance at lower costs. This article discusses the networking capabilities of the general purpose instances over time. Spoiler alert: You can increase the throughput of your web application, decrease the duration of your backups from EC2 to S3, and increase the maximum network throughput between two EC2 instances without additional costs. The third generation m3 announced in 2012. The fourth generation m4 announced in 2015. The fifth generation m5 announced in 2017 during re:Invent. While there is no considerable difference in network performance between m3 and m4 instances, there is a huge difference in networking performance between the fourth and fifth generation of general purpose instance types. All m5 instances offer an average network throughput of at least 10 Gbit/s. An m5.2xlarge instance offers ten times the networking performance of an m3.2xlarge instance at lower hourly costs. An m5.large instance offers 20 times the networking performance of an m4.large instance at lower hourly costs. The following table lists the average network throughput of m3, m4, and m5 EC2 instances in Gbit/s. We have measured the network performance daily with the iperf3 network benchmark tool in EU (Ireland) from November 30th to December 18th. The following table provides a more detailed look at the network performance of m5 instances. Compared to m4 instances, the network throughput of m5 instances is very consistent. 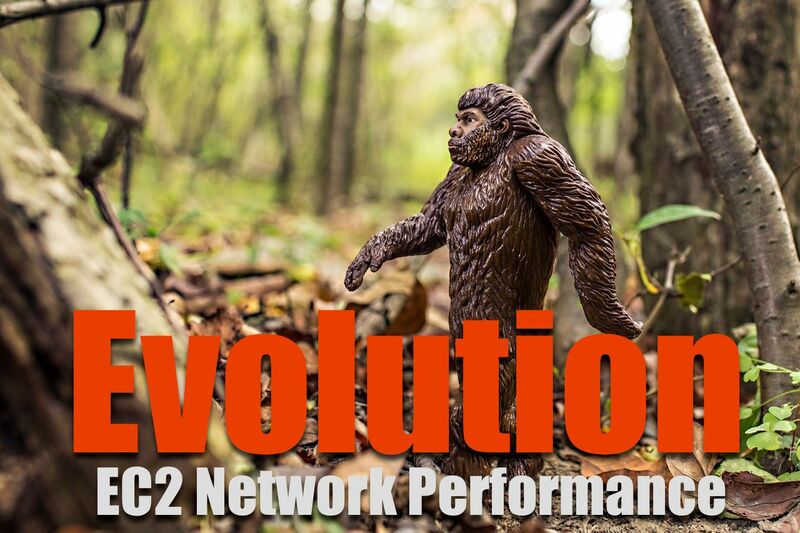 Learn more about the detailed measurement results for m3 and m4 instances at EC2 network performance demystified: m3 and m4. As the network is the computer, the networking capabilities of your instances become more and more critical. Don’t miss the incredible increase of network throughput of the m5 instance types and upgrade your EC2 instances today.